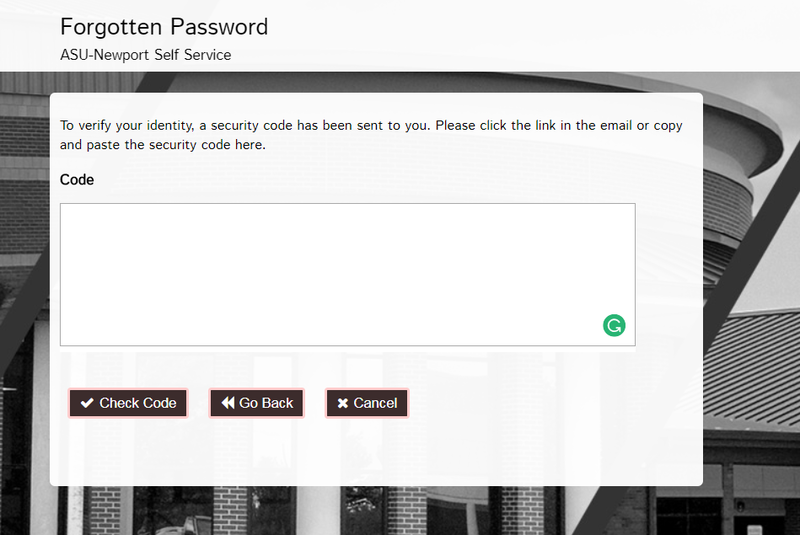 To recover your password go to https://selfservice.asun.edu , then select “Forgotten Password” as shown below. 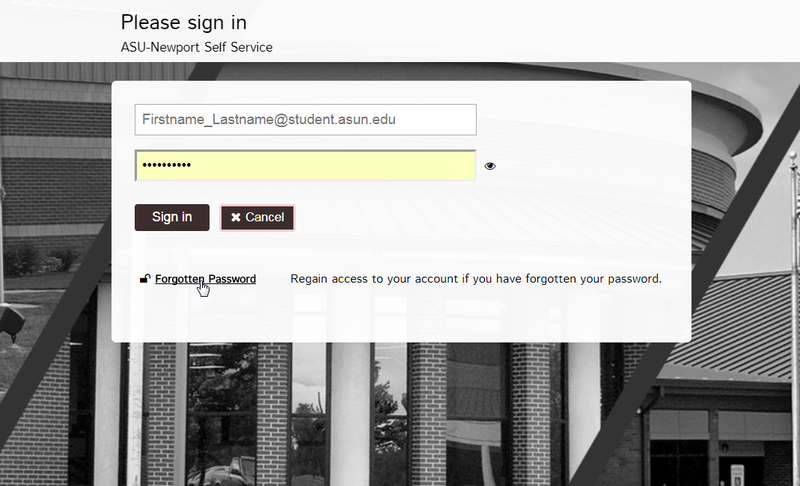 Now enter your ASU-Newport Email and select search. If your account is found, you should be presented two options. The first is to answer your recovery question to recover your password (Only available if you set them up before). The second option is to send a verification email to your ASU-Newport email, this only works if you still have access to your ASU-Newport email account. Selecting email verification should bring you to a screen that asks for the token that was sent to your email. Once you type in the correct token you will be able to reset your password. If you are unable to use any of these steps please email us at its@asun.edu so we can assist you.